If your birthday is before February 4, then your astrological sign is Rooster, not Dog. Both Dog and Horse are farm animals. They must have many things in common. They are intelligent and would like to serve their masters. That's why they could become the best friends to human. Sometimes, their masters will send Dog to the the Horse's stable during the night as Horse's companion. According to Chinese Horoscopes, Dog and Horse also have attraction relationship because of Fire. That's tell us Dog and Horse can get along well. In other words, Dog will have a very good people relationship in the year of Horse. The Lucky Stars and Unlucky Stars arrive toward Dog people in 2014. Therefore, Dog people have mixing good and bad luck in the Horse year. Lucky Stars bring good opportunities in career, money and love area. In the same time, Unlucky Stars set up some traps on the road to your success. As long as Dog people can adjust their attitude to face the challenges, 2014 will be one of the great years to you. 2014 is a Wooden Horse year. Wood of 2014 represents the Career Star to Dog people. That means Horse opens the career opportunity to you. Career always brings people pressures. In Chinese Five Element theory, Dog is in Earth group. Horse is in Fire group. Fire is the mother element of Earth; Fire will protect and support Earth. This will make you much easier in career development, because Horse Fire will take over the pressures from the Wood. There is a Military General Star coming toward Dog people in 2014. That's is a sign of power and leadership. But another Unlucky Tiger Star is watching Dog people in the same time. That means your enemy is on the same career path with you and you have strong competition in 2014. In order to win the game, Dog people can spend more time with your friends and supporters to build solid relationship. You can ask their opinions often for major decisions. Also, you still need to play in low-profile. Humble and modest behaviors are safer when the villain is around. If you can earn the recognition from most of coworkers, then you will have a very successful career year. The major event of 2014 will be in the career year. There is no strong Money Star appearing in this Horse Year. In Chinese Five Element system, Water represents money to Dog people. Horse of 2014 contains no Water. Therefore, your major earning will come from career's salary or other fixed income. There is no sign for windfall or easy money. The short-term money investment won't bring you a quick return. If you are busy in career development, then you can ask someone good at financial management to give your a long-term investment plan. In general, the money luck of Dog people is fair and stable in the year of Horse year. Dog people have good people relationship in 2014. You will spend more time in the social activities. You will feel that it's much easier to make friends from the social world than the previous year. If you are single, then 2014 is a good year to try the new relationship. But you have to keep in mind. the competition is out there. Wood of 2014 represents the Husband or Boyfriend Star to a female. Therefore, if you are female and single, then 2014 is good year to find your ideal companion. If you always have a relationship, then its good time to think about deeper relationship by knowing more about the family members of your lover. If your are married, then your marriage life will be full of love. If you are a female, then you will care and spend more time with your husband in 2014. Dog people might have some pressures from their career. Those pressure might cause slight illness to you. As long as Dog people can have enough sleeping and good rest, they should be able to recover very quickly for those minor troubles. There is an Unlucky Star regarding the health toward Dog people in 2014. That's is a sign of injury. Dog people might increase their social activities and spend more time in travel. So you just need to watch the safety on the road and try to avoid dangerous sports. Dog is in the Earth group. Horse contains Fire and Earth. Fire is the Mother Element of Earth and can burn more into Earth. It's possible that Dog people have too much Earth in 2014. Too much Earth will cause the problem in digestion system. Therefore Dog people have to to watch their diet to protect their intestines and stomach. Too much Earth might absorb too much Water. If Water is too less, then that's will impact the urinary system. which are bladder and kidney. You have read this article2014 Chinese Horoscope with the title THE DOG IN THE YEAR OF THE WOODEN HORSE | CHINESE HOROSCOPE 2014 . You can bookmark this page URL https://thehalflifeoflinoleum.blogspot.com/2013/12/the-dog-in-year-of-wooden-horse-chinese.html. Thanks! 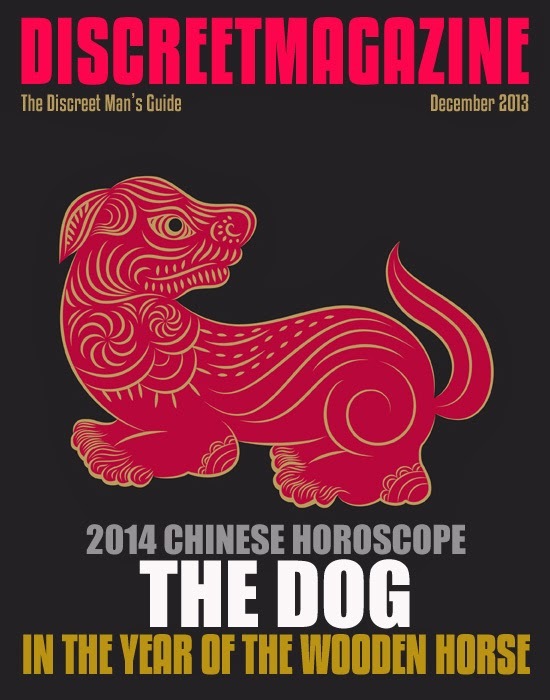 Comments "THE DOG IN THE YEAR OF THE WOODEN HORSE | CHINESE HOROSCOPE 2014 "